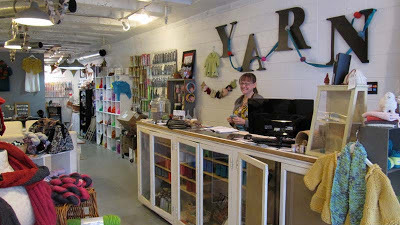 One of the things I like about traveling is the chance to visit yarn stores to see what's different, and what's the same, than what I have locally. 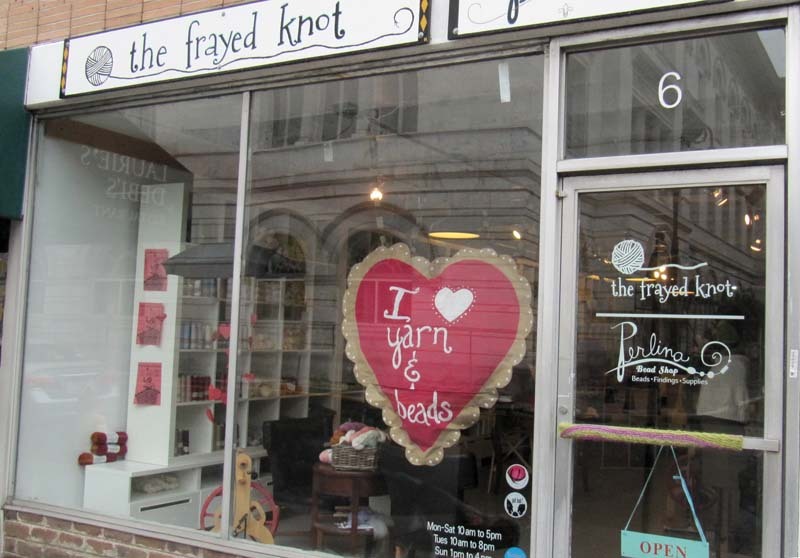 This time I went to a shop that is fairly new in Savannah, The Frayed Knot and met the charming owner, Jennifer. I'm starting to work on an original design using the yarn that I bought on this trip. Right now it's nothing more than a few notes but it's becoming clearer as to what I want to do. More on that later on. There is a bead shop at the back of the store which I didn't check out too closely on this visit. 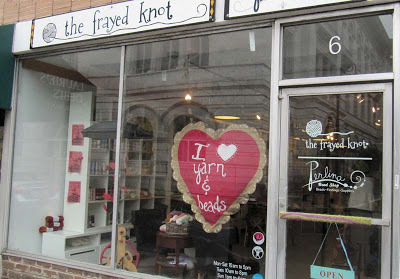 When I go back to Savannah again next year The Frayed Knot will be a definite stop for me, and Jennifer and I will be staying in touch in the meantime. I look forward to it. 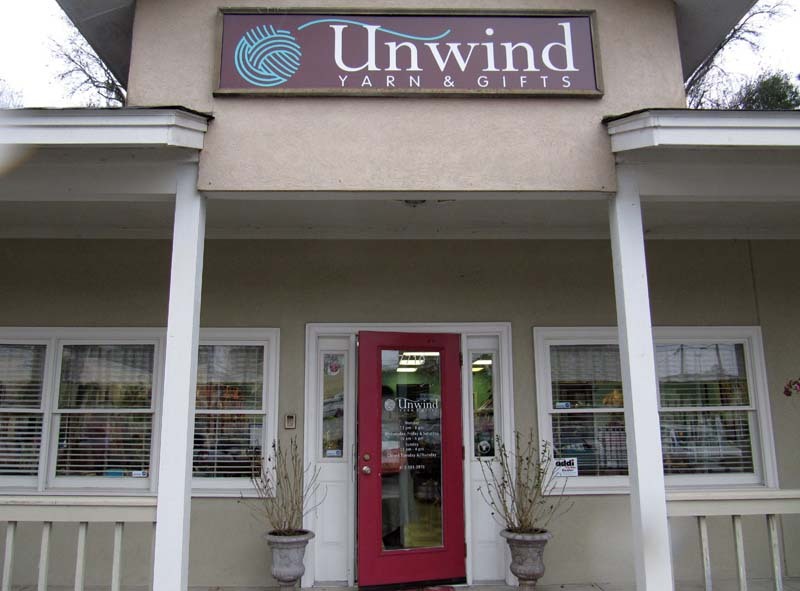 When the weather isn't too pleasant what does a knitter do but go to check out another yarn store: Unwind Yarn and Gifts. It, too, was a friendly and inviting shop - more of the Southern charm that I like so much. It has a good selection of yarn although I didn't see anything local. It was packed full of knitters and a class was going on in the back. Aside from the yarn, what caught my eye was this round display area. Wouldn't I love to have that to store my stash? When I first visited the south I was very pleasantly surprised by the yarn stores. 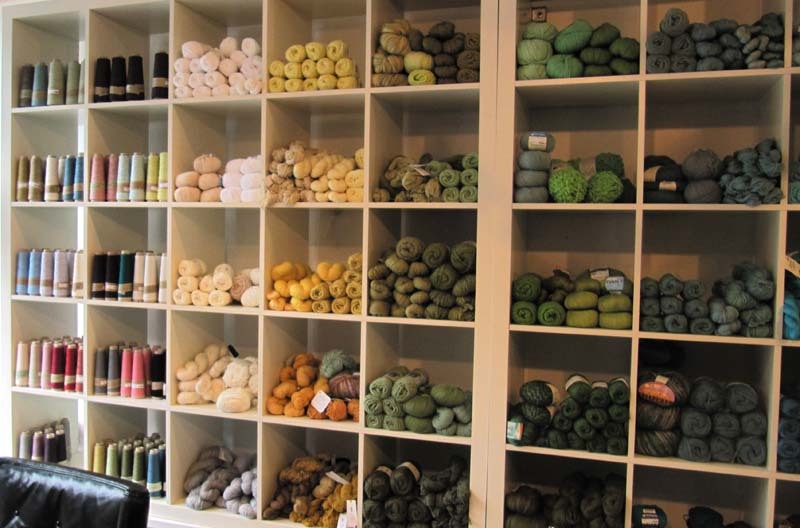 I expected to find only a small selection of yarns such as cotton and linen. Instead, knitting is popular using all kinds of fibers from a large variety of companies. Lucky you to find the frayed knot open. 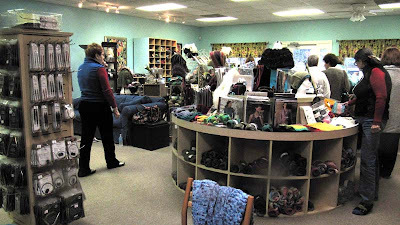 i had planned my sunday around the hours posted and went sightseeing returning at 3;30 to buy some souvenir yarn, only to find the owner on her way out to a baby shower and closing early. what a dissapoinment. I don't blame her for closing early for a family event or whatever but a sign on the door would have altered me and i wouldn't have returned early from beaufort (where the yarn store is closed sunday and monday). As I'm from canada i wont be back that way.